THE regional office of Citizens Advice Northern Ireland faces a financial crisis after it lost core Stormont funding, The Detail can reveal. The charity has confirmed it is now in talks with its sister organisation Citizens Advice England and Wales about transferring responsibility for supporting its centres in Northern Ireland following the loss of funding. However it stressed that no local advice services will be affected. Although it uses the same branding as its English and Welsh counterpart, Citizens Advice Northern Ireland operates as a separate organisation. The Belfast-based regional office, based on Donegall Pass, employs 53 people, according to information published on the Charity Commission for Northern Ireland’s website. If Citizens Advice England and Wales takes control, it is believed jobs could be saved but the future is as yet unclear and some redundancies look likely. Citizens Advice Northern Ireland’s regional office provides IT and funding support to its advice centres that operate as 13 local franchises across 29 main offices. The work of the local centres is not expected to be disrupted. The regional office also works to promote the charity’s policy objectives and joined forces with Marie Curie in March to call for an increase in funeral payments when The Detail revealed the extent that families are plunged into debt when a loved one dies. A spokesperson for Citizens Advice Northern Ireland confirmed to The Detail that funding had not been secured for the regional office from the Department for Communities (DfC) for the current financial year. They said: “Funding from DfC is discontinued and the regional board is facilitating moves to transfer membership, support services and funding to its sister organisation Citizens Advice England and Wales. 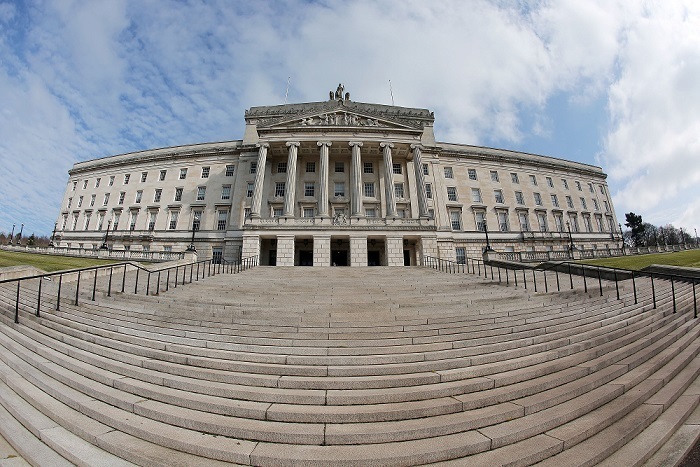 “Discussions are ongoing at present among a number of interested parties on the future delivery of public advice services in Northern Ireland. “While the outcome of these discussions may see changes in the manner in which these services are organised and delivered at both a regional and UK level, members of the public should continue to contact their local Citizens Advice office for ongoing advice and support." A spokesperson for the department said the decision was made due to the "organisation's financial position" and added that any Citizens Advice staff facing redundancy as a result can seek support from its network of job centres. None of the local Citizen Advice centres are expected to see their services disrupted as a result of the crisis. While Citizens Advice Northern Ireland receives funding from a range of sources, its core funding was provided by the Department for Communities (DfC) which contributed around £390,000 to the charity in 2016/2017, according to its latest accounts published on Companies House. This is a reduction of around 45 per cent from seven years earlier when the charity was awarded £710,027 from the former Department for Social Development which was incorporated into the newly-created DfC in 2016. It largely covered staff costs which allowed Citizens Advice's regional office to apply for and administer ring-fenced funding on behalf of its local advice centres. Other funding sources include Pension Wise, which contributed just under £1.26m in 2016/2017, and Money Advice Service which awarded around £863,000 in the same year, according to the charity's accounts for the year ending in March 2017. The charity also received around £293,000 to help it deal with an increase in demand for support with welfare reform issues. However, all three grants were for restricted use. Citizens Advice Northern Ireland was hoping to receive around £300,000 from the department's Regional Infrastructure Support Programme for 2018/2019, a DfC spokesperson confirmed. He added: "The department decided to end its funding to Citizens Advice Northern Ireland because the organisation’s financial position was such that it was not considered viable to continue to receive public funding. "The decision does not impact service users. The department has put in place arrangements with the 29 local Citizens Advice Bureaux across Northern Ireland to ensure that service users continue to have full access to advice services." In relation to potential redundancies, the department's spokesperson said it "delivers employment services through the regional network of Jobs and Benefits offices and JobCentres. Any member of staff made redundant due to the winding down of Citizens Advice Northern Ireland will be able to avail of these services". The department's Regional Infrastructure Support Programme for advice services has been in place for approximately 10 years, with an annual budget of £1.1m, the spokesperson added. Around £300,000 was awarded to both Advice NI and the Law Centre NI from the fund this financial year to provide advice services. Julia Gillies-Wilkes, head of local relationships and change at Citizens Advice England and Wales, told The Detail: “We are aware of issues relating to Citizens Advice Northern Ireland and are in discussions with relevant stakeholders. “People in Northern Ireland can continue to access support to resolve their problems via their local bureaux." 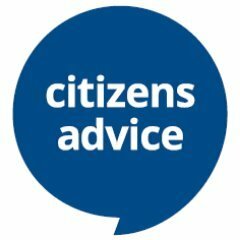 Click here for contact details of your local Citizens Advice centre.